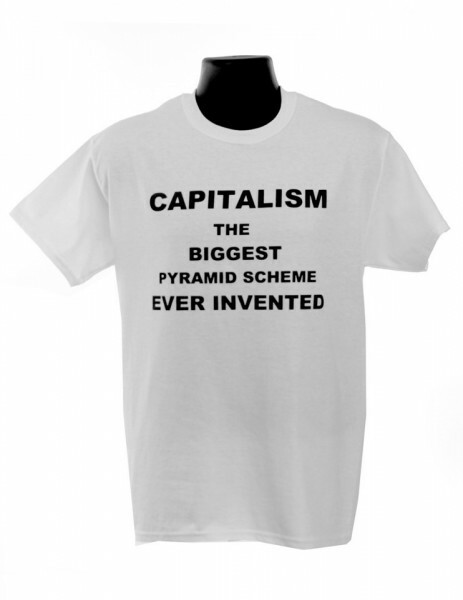 The biggest pyramid scheme ever invented? Come on now, it’s not as if the system our entire world is based on essentially redistributes wealth to a small number of people at the top. Capitalism is nothing like a pyramid scheme! After all, in a pyramid scheme, scam artists sitting at the top of the pyramid trick people underneath them to keep letting large amounts of money flow to the top, by making the victims think that eventually they’ll feel some of the benefits too. 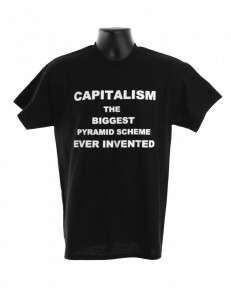 And the people at the lower ends of the pyramid buy into it because they don’t realize they’re being scammed. 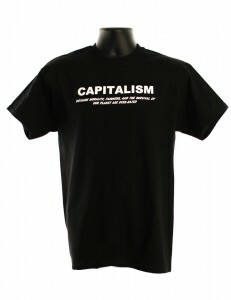 And capitalism is nothing like that! 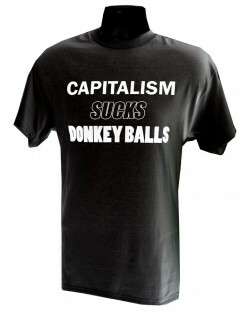 But if you insist on making this crazy statement, let the world know with this awesome new 100% cotton T-shirt!